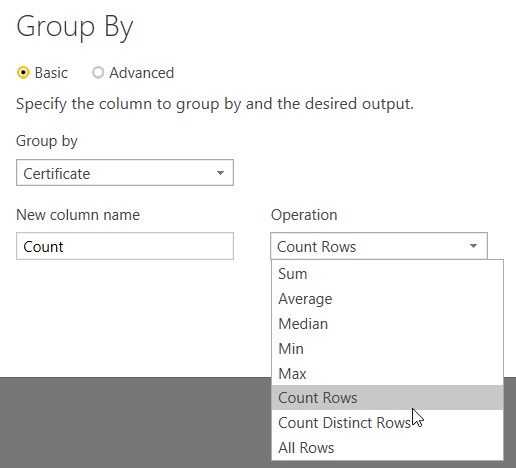 The Group By transform in the Power BI Desktop Query Editor. This is the dialog box which now appears by default, which works when you just want to have two columns in the final results. 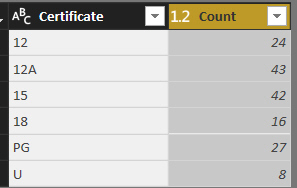 Here I'm counting the number of films for each certificate. 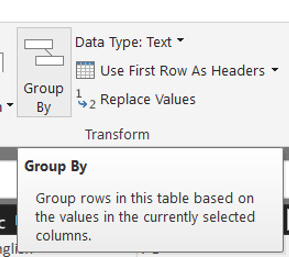 Since most group by transforms only return two columns, the basic mode should be useful. A small contribution to the betterment of humanity!